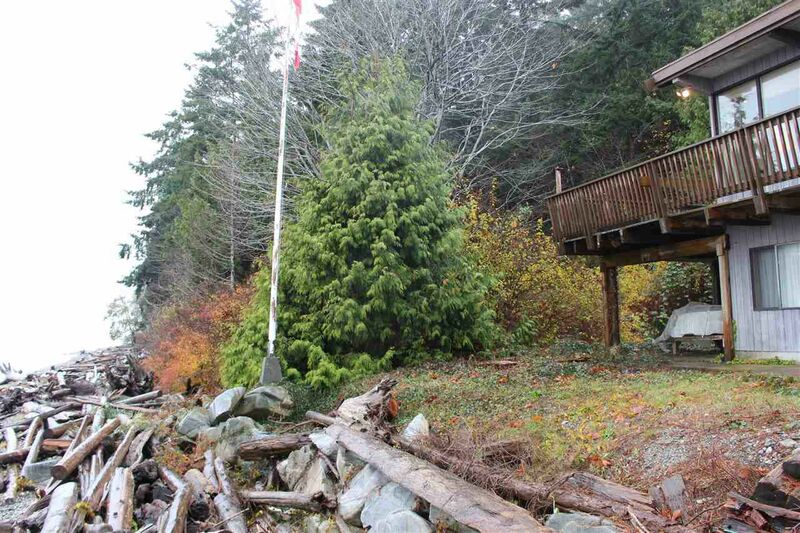 Waterfront properties come and go but Cassidy Road is special and likely one of a kind. Experience the Sunshine Coast waterfront lifestyle at its best. This solid, well maintained cottage home sits on a 3/4 acre with 108ft of low bank waterfront and borders a 198 Acre SCRD/Camp Byng property. Located at the end of an intimate cul de sac, the tree lined driveway welcomes you to the beachfront home that sits at the waters edge. Cozy gas fireplaces can be enjoyed in the living room and the rec room while appreciating the vast and unobstructed ocean views from both levels. Kitchenette downstairs does not have a stove. Oversized double garage plus carport. Greenhouse. Newer roof.